I should backtrack. I am a history person. I have degrees and work in a field which works directly with bringing history to people. I love my job. But, that means I spend a lot of time reading and researching various aspects of history, so when it comes to my leisure time I do not always lean towards straight history non-fiction (yes, I know I read and reviewed three Sarah Vowell books this year, somehow to my mind that doesn’t count). I especially tend to stay away from the time periods I’m working with most closely for my job (I cannot tell you how little I want to read about the Civil War now). I do have a soft spot for the belle epoch and Golden Age. There is something about the turn of the last century as modern technology is found its feet and our social mores shifted out of the Victorian Era which intrigues me to almost no end. For this reason alone I would’ve read Devil in the White City by Erik Larson since it focuses on the 1893 World Columbian Exposition in Chicago. Why I was relatively sure I wouldn’t read Devil in the White City was that while it focuses on the men and women (but mostly men) who designed and built the Fair it also focuses on killers lurking in Chicago at the same time, one of who used the Exposition to lure his victims. So y decision was made, since I didn’t feel like reading about serial killers I was simply going to move past this book on the shelf. Then, earlier this summer I watched a documentary about the same serial killer, Dr. H.H. Holmes, born Herman Mudgett. I was intrigued by the story of Holmes and decided that I could in fact abide reading his tale through Larson’s authorial voice. I’m ever so glad I made that decision. Erik Larson has a distinctive and crisp use of language as it comes to laying out the various threads that make up any history. Through use of the third person and omniscient voices Larson leads his reader through a history lesson weighing in at nearly 400 pages which feels much more like a novel of half that length. Much time was taken in researching all the various threads that Larson is examining through the lens of the Exposition. There are many readers who felt that the tales Larson tells are simply too disparate and this work either needed a new tile (something less focused on the titular devil Holmes and more focused on the Exposition) or needed to be split into two books with the same backdrop of 1890s Chicago. I can agree with this position to a point, I felt that the epilogue Larson wrote in his own words worked well in pulling all the threads to together well and the book would have been served by having a similar introduction on the front instead of starting with a flashback from the deck of the Olympic waiting for news about Titanic disaster. The other slight drawback to this book is that much of the description of the events in Holmes storyline comes from Larson’s research and then making educated guesses. Much of what is in Larson’s descriptions is plausible to the reader and based in fact, but then we’ll just never know the full truth of those days and lost lives. However, above these small problems I found this book to be engaging and interesting as well as full of fun interesting facts and insights to the Exposition and Chicago in the 1890s. And that ladies and gentleman, completes my Cannonball Read 4! Wanting to do this craziness for yourself? There is a Cannonball Read 5! 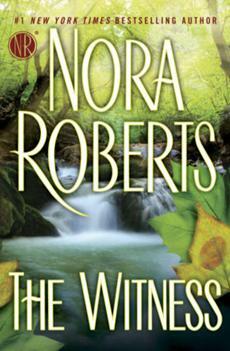 The Witness is perhaps a return to Roberts at her best. Earlier this year I reviewed The Search which along with Black Hills show Roberts not at her thriller best. The Search and Black Hills each had their strong aspects and their weak moments, but The Witness is strong throughout. The Witness is the story of Elizabeth, a teenage genius who acts out against her controlling mother and finds herself caught in the middle of a mob execution. The book is broken up into four sections, each chronicling a different segment of Elizabeth’s life and named for a different person. The first section introduces the reader to the 16 year old Elizabeth as she experiences that fateful night and the subsequent weeks in protective custody. Later sections delve into her life on the run, her current identity, the local sheriff determined to learn all about her, and her eventual plan to put things right. This is not as easy-reading as Sarah Vowell’s other books, but perhaps that isn’t a bad thing. I had the same experience reading about the Massachusetts Bay Puritans as I did about the Hawaiian monarchy and religious reformers in Unfamiliar Fishes. This is an interesting treatise on a single subject with is often overlooked in our education and pop culture, but it lacks the variety of topics which help keep other Vowell works such as Assassination Vacation and The Partly Cloudy Patriot from having Sargasso Sea moments. It’s in these moments where there is movement, but it isn’t taking the reader anywhere that kept me from reading this work quickly or in fact reviewing it promptly. I am left with the following observations- choose a Vowell book, any Vowell book, to be introduced more in depth to a topic and how it affect how you live today. But perhaps be prepared to put it down for a while to let your brain recover before moving on. Also, we have so much written record from these early settlers, more and more I wonder just how much of our written records will survive.